Again, I want to thank Ian Dube and Mike Goss from USATF-GA (Georgia) for this podcast. Visit their website at www.usatfga.org and their Facebook Fan Page at www.facebook.com/USATFGA. Last month they had Kenta’ Bell on the Teleseminar, as well as Innocent Egbunike, Nigerian 400m sprinter & Coach. I really enjoyed the 20 minute talk followed by a Q&A session format with all the callers. 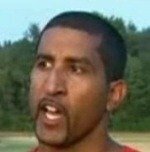 Latif Thomas is a former All East Sprinter while attending the University of Connecticut on a track and field scholarship. 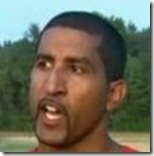 Latif is USA Track & Field Level II Certified in the Sprints, Hurdles and Relays. 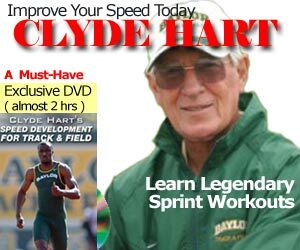 He is the co-founder of CompleteTrackandField.com and produced the 11 DVD set on Complete Speed Training for sprinters.